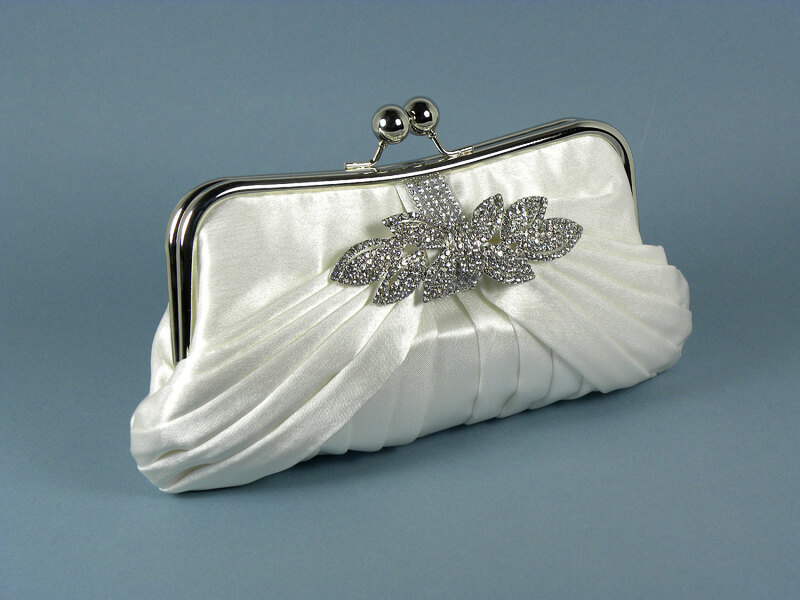 Bridal clutch design in a shiny ivory bridal quality satin featuring three distinctly different, yet complementing fabric flowers. 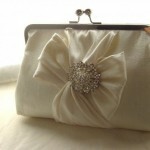 The focal points are faux pearl and a rhinestone button flower centers. 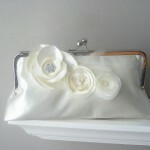 Ivory feathers are tucked in behind one of the flowers. 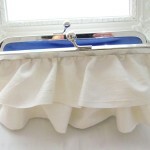 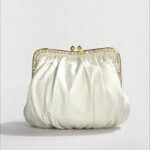 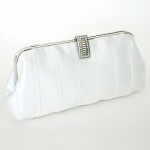 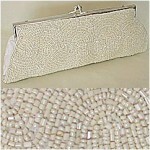 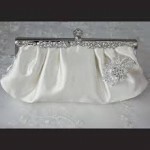 The lining is made with the same quality ivory bridal satin.wedding clutch in diamond white with pin-tucks on the front and back of the handbag. 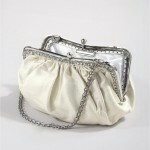 Silver frame with silver rhinestone snap closure. 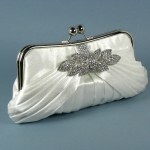 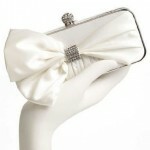 Optional silver chain shoulder strap.Designed and hand embellished by Designer, Sherri Wees , this breathtaking elegant ivory satin bridal clutch purse features a sumptuous gathered sash front and center, with sparkling rhinestone trim and a stunning opulent rhinestone bow of leaves adding more elegance to the front of the purse.